For years, traders and investors have been using unproven assumptions about popular patterns such as breakouts, momentum, new highs, new lows, market breadth, put/call ratios and more without knowing if there is a statistical edge. Common wisdom holds that the stock markets are ever changing. But, as it turns out, common wisdom can be wrong. Offering a comprehensive look back at the way the markets have acted over the last two decades, How Markets Really Work: A Quantitative Guide to Stock Market Behavior, shows that nothing has changed, that the markets behave the same way today as they have in years past, and that understanding this puts you in a prime position to profit. Written by two top financial experts and filled with charts and graphs that illustrate the market concepts they develop, the book takes a sometimes contrarian view of everything from market edges to historical volatility, and from volume to put/call ratio, giving you all that you need to truly understand how the markets function. 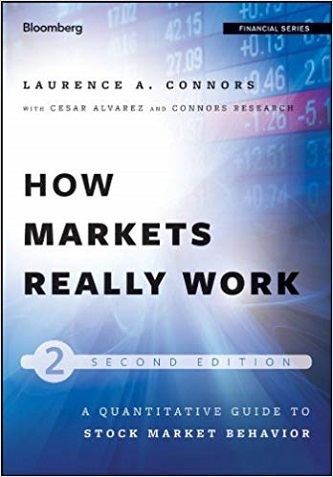 Fully revised and updated, How Markets Really Work, takes a level-headed, data-driven look at the markets to show how they function and how you can apply that information intelligently when making investment decisions.